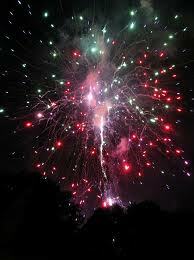 Expect some fireworks tonight at the August 23 meeting of the NYC Charter Revision Commission. It seems that the commission didn’t finish its homework before it published its Draft Proposed Amendments to the New York City Charter on August 17. When the City Council extended term limits from two to three in 2008, it specifically said any subsequent charter revision to repeal this would simply restore the old two-term limit. It did not provide for current third-term office-holders to be exempted from this provision. The charter revision commission’s August 17 draft would afford this exemption. The draft charter proposal could be interpreted to mean that the Council subsequently can pass a local law to enable current third-term Council members to serve an additional two terms, for a total of five. Does anyone — other than Council incumbents — want this? The extension of City law reporting requirements to all political committees could yield interpretative conflicts between the Charter and existing State law. We’ll let you know how this plays out. This entry was posted in 2010 NYC Charter Revision and tagged 2010 charter revision, 2010 NY charter, bloomberg charter, charter revision, Laurence D. Laufer, New York City Charter, New York City government, NY charter commission, NY charter revision, NYC charter, nyc charter revision, NYC charter revision commission, NYC Government. Bookmark the permalink. Five terms, why not? It’s one way to keep the unemployment rate in check. And think of the impact on their pensions. And if the council members can serve for five terms, they will become household names like Vallone and Friedlander.